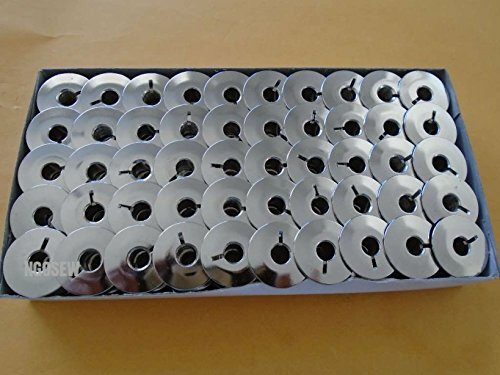 NGOSEW 50PCS Metal Bobbin Size L # 55623S For Bernina 1000 , 1000+ , 1001 , 1070 ,1080 Juki DDL-8700 ,8300 ,8500 , 5550 by NgoSew at Designers Artists. MPN: 55623S. Hurry! Limited time offer. Offer valid only while supplies last. ARTISAN: 196R 5550N 8500N ZJ-100 BROTHER: B706 B714 B735 B736 B755 B757 B758 B777 B781 B792 B795 .